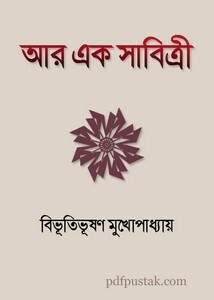 Ar Ek Sabitri by Bibhutibhusan Mukhopadhyay Bangla ebook pdf. Bibhutibhusan Mukhopadhyay (October 24, 1894 - July 30, 1987) was an Indian popular novelist and short story writer in Bengali literature. He was born in the village of pandula, Dwarbhanga, Bihar. He wrote a lot of jokes and humorous story as Barjatri, Ghotna, Trilochan, Gorachand etc. From here you can collect his written book Ar Ek Sabitri in a pdf file.